Very easy to setup. Give us a call. Name-badges.com Inc. The brand you can trust. Backside black text print may be added for $1 ea. Why Go for Reusable Visitor Badges ? You can save a lot of cost if you use reusable Visitor Badges. What do I mean with reusable? As the name implies, this one of a kind visitor badge has the qualities of the usual permanent ones only they can be used over and over again with many guests. Reusable Visitor Badges are the rave these days. 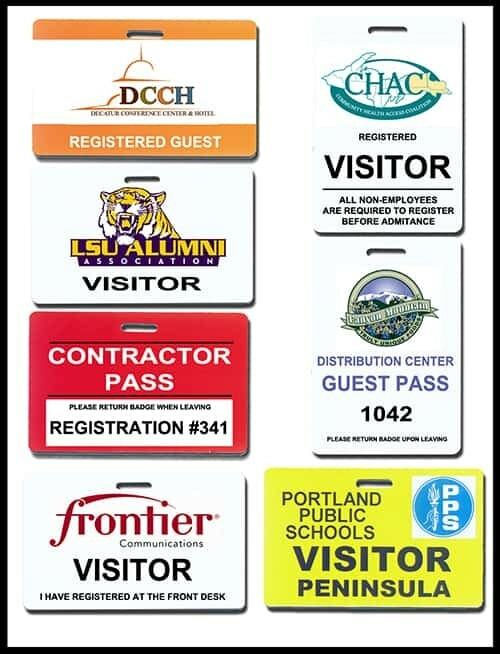 As companies and people continually find ways to save on costs in any way possible, the use of such nameplates are consistently utilized to cut expenses on contractor, parent and visitor identification. Lanyard varieties are known to be much more flexible in nature than traditional pin-secured badges. This variety completely eliminates damage on clothing’s fabric usually caused by pricks from pins or strong adhesive on stickers. They are also of high grade scratch-proof polyurethane material that do not react to any type of liquid and corrosive material. 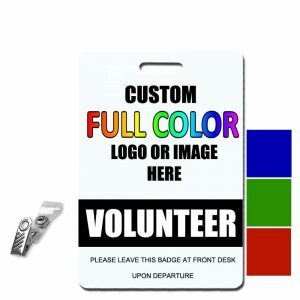 As desired badges can be fastened securely using bulldog clips on chest pockets or lapels, these materials are truly one of the most innovative ways. These badges can also be customized according to your logo, emblem, specifications and other intricate details that you might require. And now, it also possesses reusability allowing it to be worn countless of times on different occasions, terms or school year. Convenient and easy, it is even now made more cost-efficient.